As expected, my last-minute Pick 6 Oscar Contest proved to be too much of a challenge. Most people gave a strong effort, but Lincoln's win for Best Production Design really caught everyone off guard. Oh well, better luck next time! I did it! I got 20 predictions correct this year, meeting the target set out in my New Year's Movie Resolutions. In other news, Argo won Best Picture, Best Editing and Best Adapted Screenplay as expected. Life of Pi came away with the most awards though, winning Best Director, Best Cinematography, Best Visual Effects and Best Original Score. I thought the show was pretty good. I loved how musical it was. It's finally time to officially put 2012 to rest. Looking forward to great things in 2013! I was planning on doing some sort of Oscar preview post and then thought I should just do another mini-contest. The response for the Oscar nominations contest was very encouraging and I think it's only fitting that I should do something for the main event too. The rules for this one are simple. I've selected 6 of the most interesting categories of this Oscar season and your task is to correctly predict all of them. If you get any of them wrong, then you lose. Unlike the Oscar nominations contest, this one is open to anyone(you must have a blog though), so enjoy! Your predictions are due on Saturday at 6PM US Eastern Time. Following the Oscars, I will announce who has won and that winner will receive a $25 Amazon online gift card. Good luck! Tiebreaker #1: The Shorts (Live Action, Animated, Documentary). Pick as many as you can. If there is still a tie then I will choose a winner at random, sorry. On February 10th, I joined Dylan, Nick J., Nick P. and Vern for episode #154 of the LAMBCast to discuss our Oscar predictions. It was recorded before the BAFTA Awards and as such, I have changed my mind on a few of these. Have a listen to see where my thoughts were at the time. There is a direct RSS feed or you can search "LAMBcast" on iTunes. I got blindsided this week with a great little film called "Hustle & Flow". I had been interested to see Terrence Howard's Oscar-nominated performance here, but for some reason I resisted, assuming it would be some B-grade "hip hop film". As I finally watched it, it turned out I was wrong, as this film was much better than I anticipated. 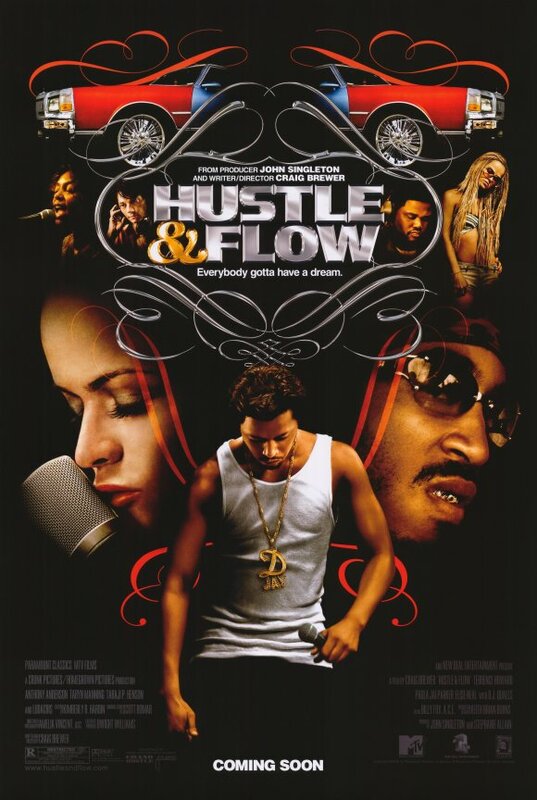 The film tells the story of a Memphis pimp who decides to turn his life around in an attempt to become a successful hip-hop artist. As expected, his journey is a struggle and the film's grungy setting certainly portrays this. The film is rich in atmosphere and has a strong sense of place. It seeps through in the people's attitude, language, dress and their daily social environments. It's a place of questionable moral values, as we spend time with all manner of distasteful individuals - namely prostitutes, pimps and strippers. Despite their unfavourable lifestyles, the film doesn't seek to vilify them, setting it apart from similar films about the ghetto. It's hard to imagine, but you end up rooting for their success. At the forefront is Terrence Howard, giving a powerful performance as Djay. He nails the nuances of his character, giving us a man going through a mid-life crisis just like any other. He shines most when he's "spitting flows", as he divulges all of the disappointments, anger and hopes through song. If you're a fan of hip-hop, I'm sure you'll be particularly fond of the creative process portrayed on screen. Even I found myself putting on my "stank face" and nodding my head to the beats. Outside of those musical scenes, he is equally capable in the dramatic moments, especially later on where he really stirs up your emotions. By the end of the movie, it's remarkable to realize how relatable this seemingly lowlife pimp is. What I really wasn't expecting from this film was the solid supporting performances. Taryn Manning really holds her own as Djay's main trick, who basically funds his ambitions through her work. She finds subtle ways of portraying the eternal sadness and low self-esteem that comes from hitting rock bottom. The person who really threw me for a loop however, was Taraji P. Henson as Djay's love interest. Her mousy character starts off completely disenfranchised but settles into a simple, but touching character arc. A simple gesture of kindness manages to bring such a feeling of accomplishment and empowerment to her life and Henson played it well. I dare say she is one of the most underrated character actors around. While the film is about a place where opportunities are limited, there is an encouraging sense of hope, even in the darkest of situations. The cinematography certainly assists in this regard, forgoing dark, moody lighting for a more bright sunlit aura. It also serves a more obvious purpose though, as the actual climate of this Southern city is hot and humid. It almost seems to further heighten the urgency of Djay's mission for success. As I mentioned earlier, the film allows you to root for all the characters and it ends up being quite enjoyable viewing, while still maintaining its gritty realism. The ending could have been handled better, but the overall message of the film is admirable. I'm definitely a fan. I've been neglecting "Oldie Goldies" lately and for that I must apologize. Have no fear though, we're back this week with the throwback John Ford Western "Stagecoach". This film felt a bit too frivolous in certain places, but the superb direction more than makes up for any minor shortcomings in the writing. In particular there's a shootout scene towards the end that is simply spectacular. The film won 2 Oscars (Best Supporting Actor and Best Music) in addition to its other well-deserved nominations for Best Art Direction, Best Cinematography, Best Editing, Best Director and most importantly, Best Picture. Of the many action thrillers of the 90s, "In The Line Of Fire" easily holds its own among its more popular counterparts in the genre. In this Clint Eastwood starrer, a Secret Service agent (played by Eastwood) is on a determined manhunt to stop a terrorist threat against the President. As the only surviving active agent who was present at the assassination of JFK, he is fueled by this memory of perceived failure. This guilt forms the basis for an interesting character study for the lead role and elevates the film above its "popcorn movie" tendencies. 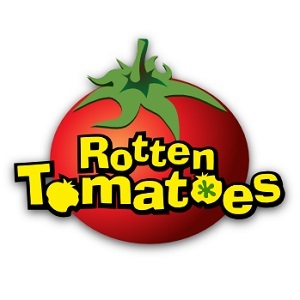 The term "popcorn movie" seems especially relevant here, as the film is molded from the typical formula that is aimed to entertain mass audiences. As a result, it feels a bit dated even though it's a fairly modern film. It is both restrained and aided by its "90s movie" style. It's a bit too "on-the-nose", but it's also very admirable for the sharp focus of the plot. This focus provides an exciting experience for the viewer, making it easy to get invested in the film. The manufactured tension and thrills are obvious, but there's a solid screenplay at its core. Much of this film's appeal comes from the strong performances by Eastwood and John Malkovich. As the hero of the story, Eastwood is more warm and affable here than in any of his other roles that I can immediately recall. The romance and buddy cop subplots are both believable as he eases off on the gruff, tough guy persona we've come to expect. Playing opposite Eastwood, Malkovich is also on his A-game, delivering a suitably deranged and impassioned villain performance. On top of that, his motives actually make sense, which is a welcome attribute in this character type. These are 2 great individual performances, but they are even better when they share the screen. Their showdowns were quite electric and gave you some philosophical food for thought. Overall, I can see why the film may not age well but given its 90s context, the strength of the screenplay, direction and acting are undeniable. You probably won't remember it for years to come, but it's a fun diversion that's very satisfying in the moment. David kindly revealed his ballot for the Lion Awards. Nika also shared his votes for the Lion Awards. The Awards Circuit recently announced the nominees for their Awards Circuit Community Awards. Their poll opens up this weekend and anyone can vote. The Flickchart blog is hosting their 2nd Flickcharters' Choice awards, which is also open to anyone. The French Toast Sunday gang got into some heated (albeit hilarious) debate for their "Comedic Actors Tournament" podcast. 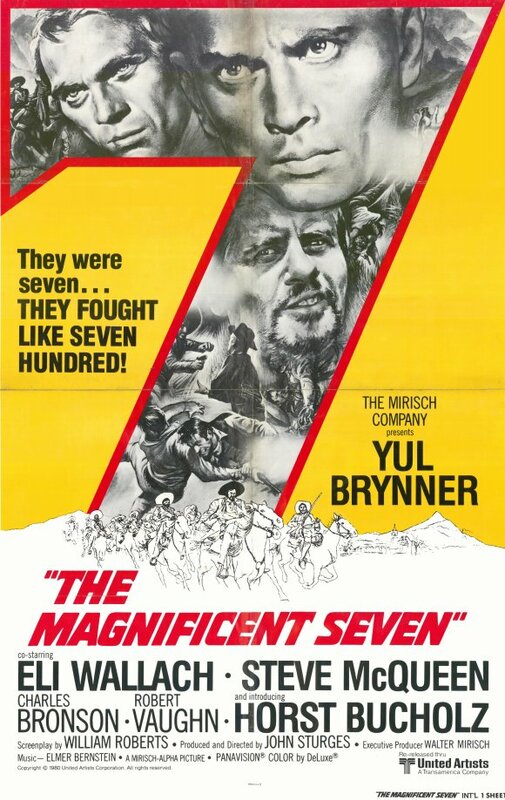 The concept of "The Magnificent Seven" is one that normally doesn't appeal to me (remakes, Classic Westerns). The original version of most films is usually the better option, but in this case I actually prefer the remake (don't kill me!). Also, I find the western genre as often lends itself to vapid plots surrounding basic ideas of revenge and honour. However, I was glad to have been proven wrong on this occasion. This reinterpretation of Akira Kurosawa's "Seven Samurai" is a rare remake that actually justifies its existence. It gives a fresh take on the story and has a strong sense of place. Set in a bordertown Mexican Village, the film tells the story of helpless farmers who hire seven gunfighters to defend them from cruel bandits. Every year without fail, their freshly harvested crops are raided, leaving them desperate and starving. As expected, this environment brings with it certain racial issues. However, it's handled so well that it isn't a major theme in the film. Apart from an opening scene where two of the title's seven defy the custom by burying a Native American in a white cemetery, there really is no further mention of prejudice. I appreciated that the filmmaker's took this stance and focused on more interesting themes. Even the violence is simply a means to an end, as the film is grounded in an admirable moral foundation. At its core, the film is all about doing right by your fellow man. In addition to the philosophizing (the script has some insightful lines of dialogue), the film is most importantly incredibly entertaining. It's a well-made film in all aspects. John Sturges did a great directing job, especially with the inevitable shootouts, as they are excitingly choreographed. The film also puts it's great soundtrack to good use, as it keeps you engaged even if all you're seeing is a bunch of men riding from one destination to the next. Unlike some Westerns, it's also well-paced, as it doesn't wallow in long "stare downs" or meaningless subplots. It gives the actors the opportunity to shine and man, those seven are magnificent indeed. The title characters (played by Yul Brynner, Steve McQueen, Charles Bronson, James Coburn, Robert Vaughn, Brad Dexter and Horst Buchholz) are perfectly cast. Some of the names may not be instantly recognizable but as you watch this, you could easily be fooled into thinking they were all A-list leading men. They all deliver authentic "movie star" performances with their effortless screen presence. What amazed me most was their ability to be macho and brawny without shoving it in your face. Westerns are sometimes regarded as frivolous or less respectable, but it's clear that these actors took their roles seriously and the film is much better because of it. As the main villain, Eli Wallach is also very compelling in his role. Though the film's narrative felt quite brisk, I really became invested in all the characters. With it's thematic resonances and constant thrills, this is one of the most satisfying films I've seen. It's a great example of the capability of a Western to be thrilling and thought-provoking, just like the more standard dramas. Was Ben Affleck really snubbed? No matter what happens in this year's Oscar race, this will be one of those years that we look back on and analyze 10 years from now. The big story so far has been the overwhelming support for Ben Affleck and Argo following Affleck's "snub" for Best Director. With Affleck now adding the DGA prize to its LONG list of awards, I'm starting to wonder if his "snub" really means much in the bigger picture. First of all, we naturally tend to group Best Picture and Best Director without realizing that they are nominated by completely different groups! Every category apart from Best Picture is only voted on by members within their branch (directors nominate directors, actors nominate actors etc.). When it comes time for the awards themselves, the voting for all the categories opens up to all the members. So when it comes down to it, we can't really say "they obviously didn't like Argo that much, since it didn't even get nominated for Best Director". 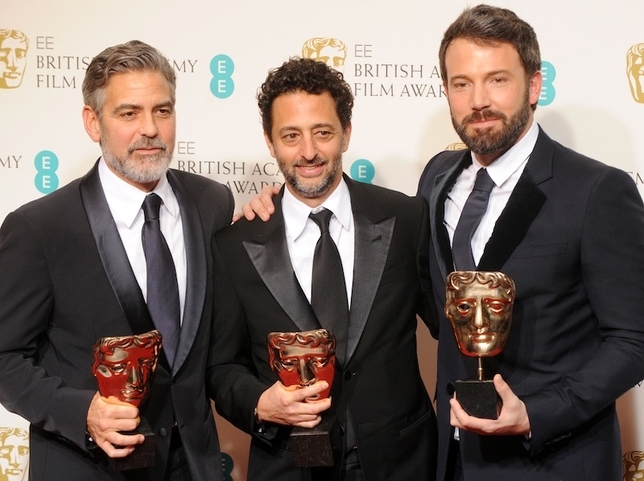 The simple fact of the matter is, it was the directors that snubbed Affleck, not the Academy as a whole. Looking at the lineup, can you really blame them? To become a member of the Academy's directing branch, I am certain you have to be a fairly talented, knowledgeable director. Considering the high quality of films and the range of unique auteur work on display, Affleck doesn't really cut it does he? Benh Zeitlin's film is wholly original and shows a clear director's vision, while Amour is displaying Michael Haneke's trademark "cold stare" approach. Ang Lee's Life of Pi is an obvious directing triumph and David O. Russell's Silver Linings Playbook is very much representative of his type of off-kilter ensemble films. Spielberg's direction isn't necessarily showing his unique style, but Lincoln had so many other kinds going for it (biggest Box Office, Lincoln's legacy etc.) that it was a no-brainer. Compare these films to Argo and you realize it really isn't a "director's" film. Even during its big release back in October I pointed out in my review that the film works so well because of the screenplay rather than the direction. I am sure the director's branch felt the same way. They probably liked the film too(as evidenced by it winning the DGA! ), but they didn't feel the need to praise the directing. Just last year we had a good example of the high-mindedness of the directing branch. We all know Tree of Life was nowhere near being in the Top 5 for Best Picture (that Best Cinematography loss revealed a lot), but it wound up with a Best Director nod. Add in all the other branches and you would certainly get a different Best Director lineup. The measly 6% that nominate Best Director surely doesn't represent the general taste of the Academy. Now, stats and history indicate a rarity of Picture-Director splits, which should give hope to films like Lincoln and Silver Linings Playbook, but therein lies our other conundrum. With Argo winning EVERY Best Picture and Best Director so far, how do we even know which film is nipping at its heels? With that in mind, I think it's going to be hard to gather troops around a single film to take down Argo for Best Picture. Come Oscar night, I feel confident (at the moment) to say that Argo will join Wings, Grand Hotel and Driving Miss Daisy as the only films to win Best Picture without a Best Director nomination. Jessica reveals her love of road trip movies and highlights one of her favourites with an Into The Wild review. Ryan reviewed Ikiru for his "Blind Spot" series and found a personal fascination with its themes. Alex profiled Ralph Fiennes in his latest "In Character" post. Josh looks back on Oscar history, listing his Top 10 Oscar-Winning Female Performances.